I was working like aÂ madwoman yesterday and wasn’t able to update on my progress, but I’m back today with two completed projects! 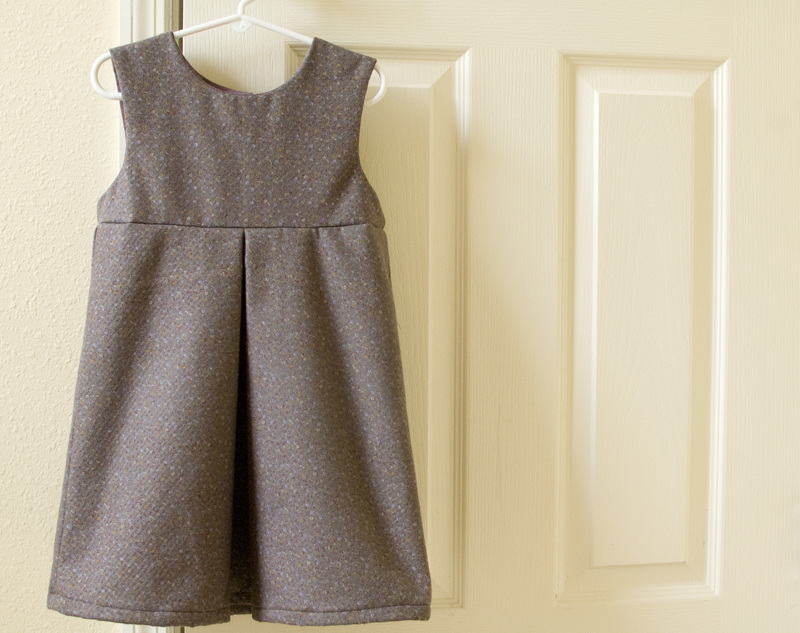 The first is a romper made from a soft velveteen with the daintiest little floral print that gives it such a sweet feminine touch, which I love. 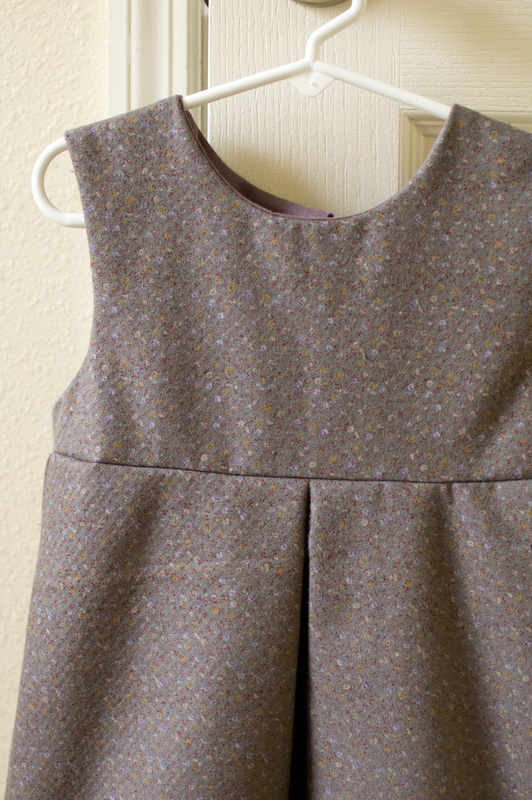 It’sÂ a pretty no-frills little number but I think a sweet top with a peter pan collar would be a great addition to it.Â The pictures here are prior to top-stitching and zipper installation, which I finished up today. I couldn’t be bothered to take new pictures of it today because I had already moved on to these jammies! 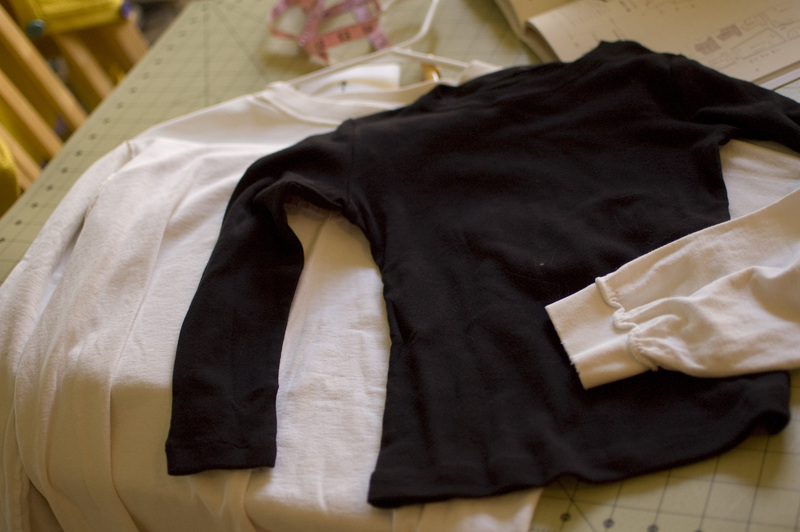 This is a completely handprinted set made of a repurposed long white t-shirt for the pants, and a freezer paper stenciled black (store-bought) shirt for the top. The handiest way I have found to do hand-stamping is to cut some adhesive foam sheets into whatever shape you need and attach a couple layers of the the foam shape onto an empty spool! Very convenient. 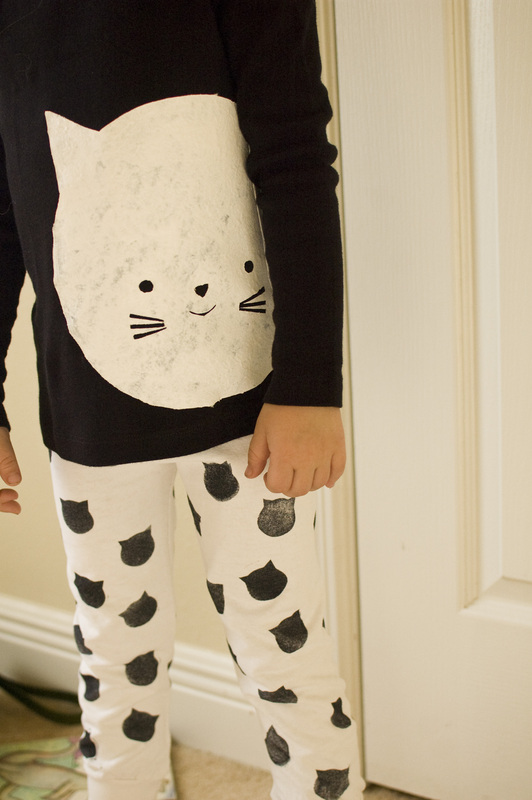 I really loved this kitty dress on Pinterest, and had been wanting to try the sleeves-into-shirt thing, so the kitty jammies were born. By the way, I could not get the Panther Stamps Pants song by Gustafer Yellowgold out of my head the whole time I was making these! I’ve been working at my dining room table, and, aside from the fact that my family is tired of eating at our kids’ IKEA table, I’m a little burnt out and think I’m going to take a sewing break for a couple days. I still have a couple items on my list for KCWC, but they’ll have to wait ’til the weekend. I’ll be back tomorrow with a list of some of my favorite recent posts from around the way! Chicken Parm Meatballs, DIY Play Washing Machine, and More! You make such cute things! Happy break! Hi great idea !! Is lovely ! 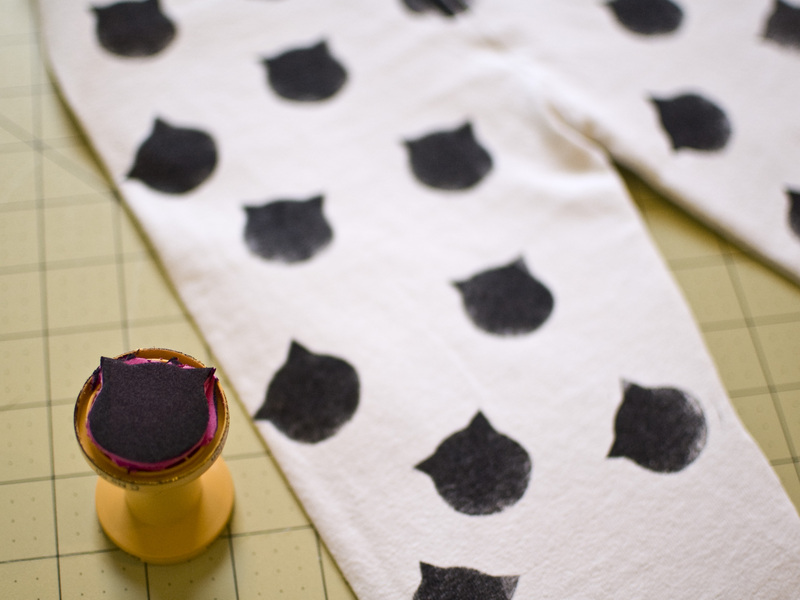 How did you make the cat in the t shirt ? Thanks ! !